A Vintage Journey: A Vintage Journey - February Challenge - Melt It!! A Vintage Journey - February Challenge - Melt It!! 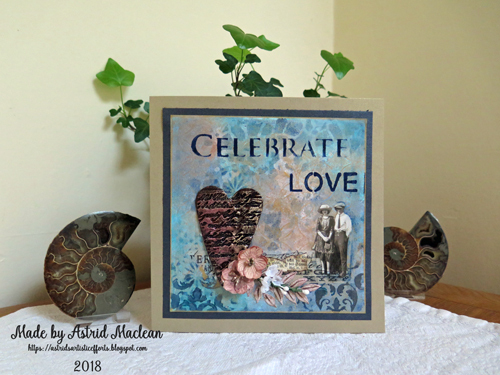 Welcome everyone to the February A Vintage Journey Challenge! Julia here as your host this month and we are so happy you have stopped by today! This month we're asking everyone to MELT IT! 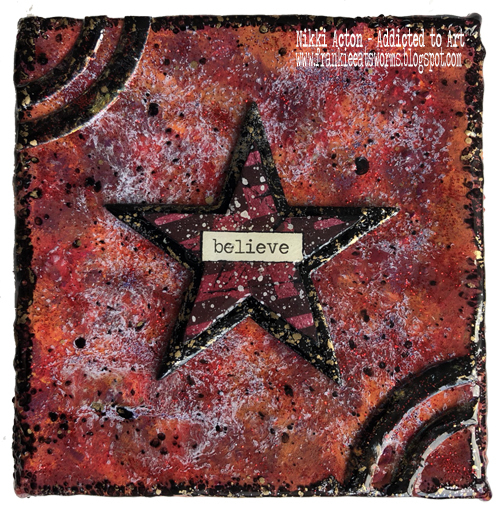 Get out the UTEE (ultra thick embossing enamel), beeswax, encaustic wax, embossing powders or good old wax crayons and a heat tool and get melting to create something in a vintage; shabby; mixed media; art journaling; industrial, timeworn or steampunk style. And here is your "Melt It" inspiration from the Creative Guides! I was so excited to host this challenge as it gave me the opportunity to get out my Encaustic Art Kit (that I've had for eons but hardly used!) and take some time to learn how to create with it! 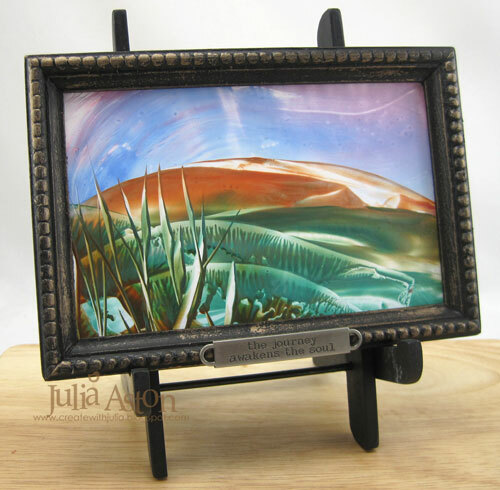 I made this scene using wax melted on a craft iron pressed over a glossy card! You will find several more scenes I created and links to Encaustic kits and a YouTube technique video on my blog post here. 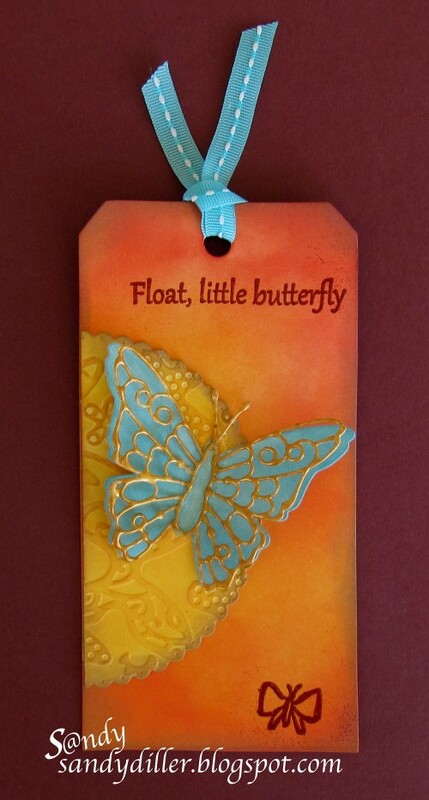 For Julia's great challenge this month I have used a large wooden tag with mixed media and stamped layers and finished up with a layer of pitted UTEE. I didn't get quite as much pitting as I would have liked but it added a fabulous texture and sepia look to it by the time I had finished with it. I have some process steps and more photos over at Bumblebees and Butterflies if you would like to see how this came together. For Julia's 'Melt It!' challenge I decided to play around with a faux encaustic technique on my mixed media canvas, layer upon layer of UTEE, embossing powders and ephemera on this one, hope you can pop by my blog for the how to! I had lots of fun with this once I finally got going! My rusty bubbles are full of melted UTEE, creating a curious-looking strange land for this tiny chap to visit. 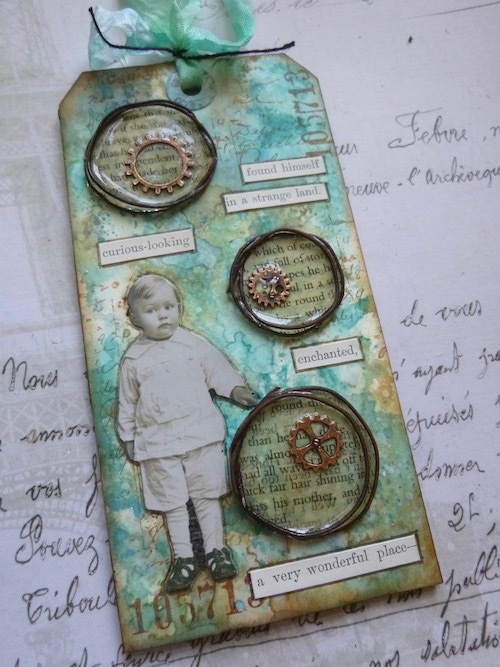 If you'd like to find out more about how I made this tag, do come and visit Words and Pictures. 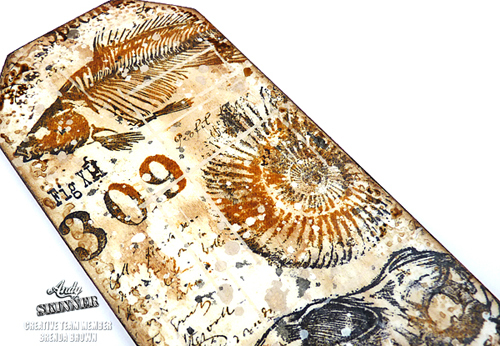 I've melted 4 embossing powders, gel medium and Distress crayons to create my rust and patina. 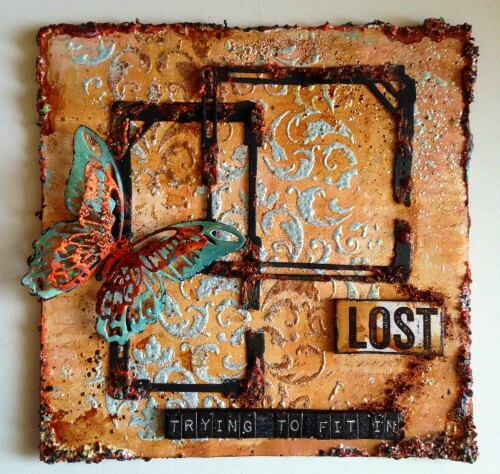 I welcome you to visit my blog, sarascloset, to learn how I made this canvas inspired by Seth Apter and my mixed media supplies. 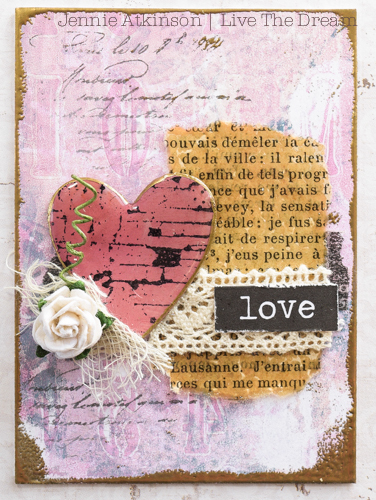 For Julia's challenge I decided to use lots of colours and layers of embossing powder. For more details please visit Addicted to Art. 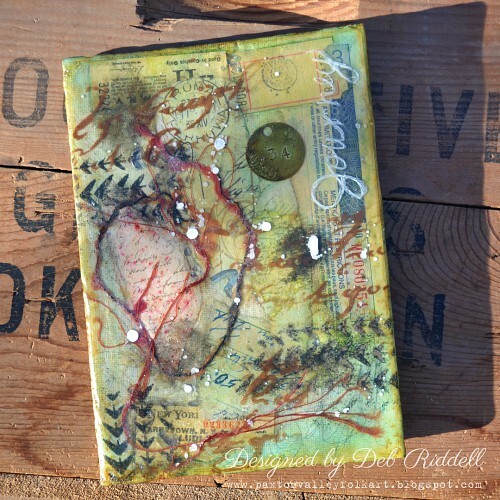 My Gelli Plate and I have been on a roll just lately (it is rather addictive!) and so I decided to cut an ATC from some experimental background paper before using embossing powders and UTEE on its decoration! Who knew that old book paper could be made to look so fabulous! Join me over at Live the Dream if you would like to find out more! 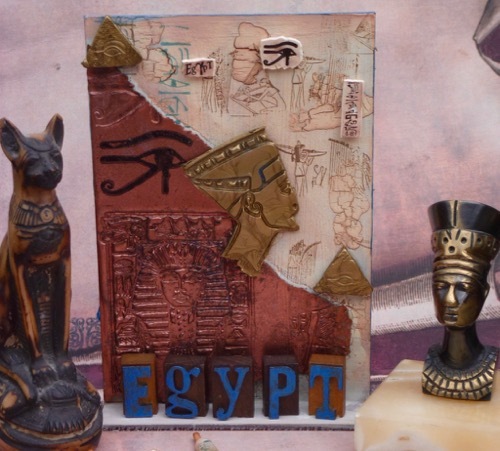 I was so lucky to see Seth Apter demo his new Baked Texture Embossing Powders at Creativation this year, and when I got home I could not wait to play with them! I used four on this project. 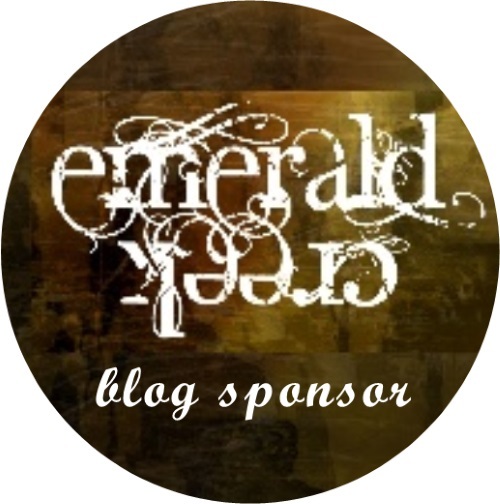 Please visit my Blog if you would like to see more. 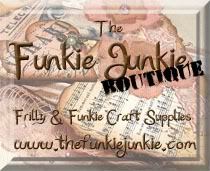 My "Crafty" Life on the Internet. Wow! You can see from all the lovely projects above - there are MANY ways to MELT IT! Our gracious sponsor this month is Country View Crafts who is offering a £20 Voucher to one lucky randomly chosen winner. 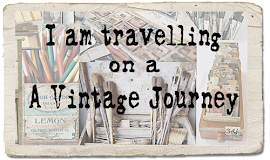 The Creative Guides will also choose three Pinworthy winners who will have their projects pinned to our Pinterest board and who will be offered a guest spot here at A Vintage Journey for one of our future challenges. So please join us! You have until Thursday, March 1, 2018 6 pm (Great Britain time) to link up your projects below. We can't wait to see how YOU "Melt It"! What wonderful Melt It projects and so many different kinds of melting! You ladies are just awesome in your creativity! Fabulous 'Melt it' projects , ladies offering lots of creative inspiration . Sorry I wasn't able to join in this time, Julia. All projects pinned and now looking forward to stopping by you all to leave some love . Truly amazing group of artworks here. Wow! Thanks for all the artistic and creative inspiration! What a fun challenge! I have finally gotten around to see all of my teammates amazing creations! What fabulous artwork and brilliant step by step posts! Thank you for this fun challenge, Julia! I can't wait to see what our followers will create! Hugs!